The senior years of high school are especially important as students make the transition from compulsory education with a broad general program, to a post-compulsory education of more specialised studies. Students are able to focus on clear pathways through Individual Learning Plans, setting achievable goals, which are revisited periodically. The South Australian Certificate of Education (SACE) provides the framework for all senior students. With the SACE, students can undertake a wide range of subjects that place varying academic demands upon them. 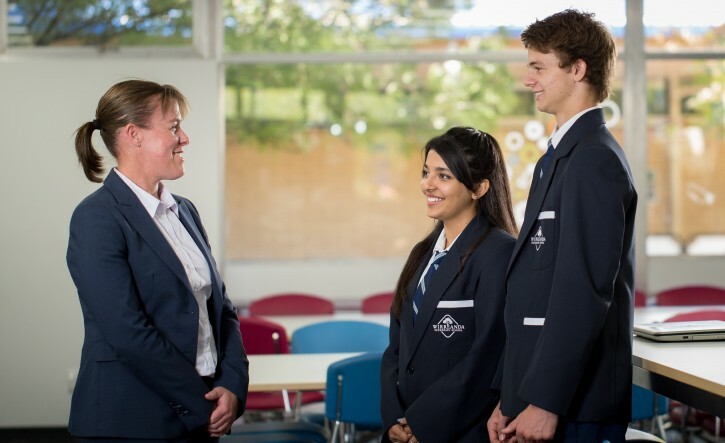 While all students conform to the same basic curriculum pattern, it is possible to devise many combinations of the subjects offered at Wirreanda High School to provide the most suitable and challenging course of senior secondary study for each student. Students will have opportunities at Year 10 to undertake some SACE Stage I units, students in Year 11 will study up to 11 semester units at Stage 1 and Stage 2 Research Project. In Year 12 most will study four full-year Stage 2 subjects and Research Project (one semester) if not studied in Year 11. Students also have the opportunity to take part in Work Experience programs at Years 10 and 11 and Work Placements within VET programs. A Flexible Pathways Program is available with its aim to assist students who require additional support and flexibility in their senior schooling. This includes school based Apprenticeships, Traineeships and a range of vocational short courses. The following section outlines the aims and requirements of the SACE. The main aim of the SACE curriculum has been designed to advance particular educational ends, and to provide access to, and participation in, an appropriate range of studies for all students. An understanding of the world of work within the Australian and international context. Emphasis will also be placed upon learning that will lead students to gain an appreciation of the aesthetic aspects of human experience and the environmental issues that affect the well being of humanity.